The Y-Foundation was founded in December 1985 as a response to a serious housing shortage. Small apartments were particularly difficult to come by. The main mission statement of the Y-Foundation was to acquire existing apartments and offer them as rental housing to homeless people living alone. In 1985, there were almost 20,000 homeless people in Finland. Over 95 per cent of them were single person households. Nine out of ten were male. The situation was unbearable. Medical Doctor Ilkka Taipale and Heikki S. von Hertzen, Deputy City Manager of Helsinki at the time, began planning a foundation to help the homeless. The Y-Foundation was founded in December 1985. Hannu Puttonen (M.Soc.Sc.) was appointed as the first Managing Director, and he held the position until his retirement in 2012. Originally, the letter Y in the name of the foundation stood for the Finnish word yksin, ‘alone’. It referred to the Y-Foundation’s mission to help people living alone to find a home of their own. 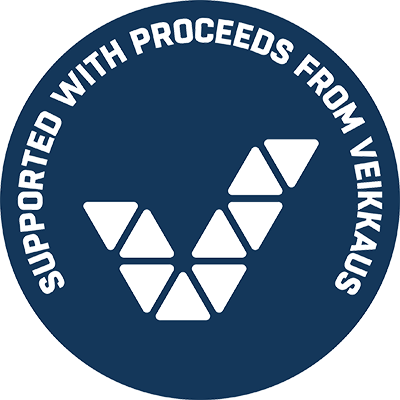 Today, the Y is thought to stand for yhdessä, ‘together’, in reference to Y-Foundation’s extensive collaboration with other parties, both Finnish and international, as a part of its work to reduce homelessness. The year 1987 was declared the International Year of Shelter for the Homeless by the United Nations. In Finland, the government set out to eliminate homelessness over the course of the next five years. The yearly goal was to provide housing for 4,000 people. Municipalities were primarily responsible for carrying out the programme, but the Y-Foundation was also tasked with providing apartments for 2,000 people, which meant 200 apartments per year. By the end of 1991, the Y-Foundation had acquired 1,470 apartments. The procurement of individual apartments from limited liability housing companies with aid from STEA (the Funding Centre for Social Welfare and Health Organisations) remains one of the foundation’s core ways of operating. In the 2000s, the Y-Foundation expanded its operations considerably to include state subsidised (ARA) rental apartments and the construction of new buildings. The Y-Foundation also provided specialised housing solutions for people recovering from mental health issues and substance abuse. The foundation built assisted living facilities for the elderly as well as regular rental housing with investment aids and subsidised loans from ARA, the Housing Finance and Development Centre of Finland. In 2014, the Y-Foundation set out to increase the number of affordable ARA rental apartments it could offer because affordable housing was considered to be the most effective way to prevent homelessness. The goal was to create or purchase more ARA rental dwellings. The poor availability of ARA lots posed a challenge. However, it was a time of growth for the Y-Foundation in 2015, which acquired 760 ARA rental apartments from the SATO Corporation to begin with. At the end of the same year, the Y-Foundation drew up a letter of intent to purchase over 8,600 subsidised apartments from the VVO Group. The sale was finalised in spring of 2016. With that, affordable rental apartments formed the majority of the housing options offered by the Y-Foundation, and the Y-Foundation Group was born. The subsidised ARA rental apartments were renamed M2-Kodit. Today, the Y-Foundation has over 16,650 apartments in over 50 localities. They are divided into Y-Kodit and M2-Kodit.